When my kids were younger, we learned Afrikaans, one of the major languages in our country. It's kind of fizzled out 'specially since we've decided to pursue the American qualification and don't need to learn it. Anyway, I read them an Afrikaans story about a sock who was petrified to go into the washing machine. Eventually, one of the other garments promised to hold onto him tight while he spun around. He ended up having fun after all. I've gone through many rounds of edits lately. I've had two books release in the last few months and have another two coming out next year some time which have been doing the rounds. Plus I've had three of my alter-ego's book in several rounds of edits. (I write a different genre under a pseudonym.) I'm exhausted. I have a deadline for Monday for a content edit and I've been battling to concentrate on it this week. The weekend has been a bit better without my kids disturbing me. 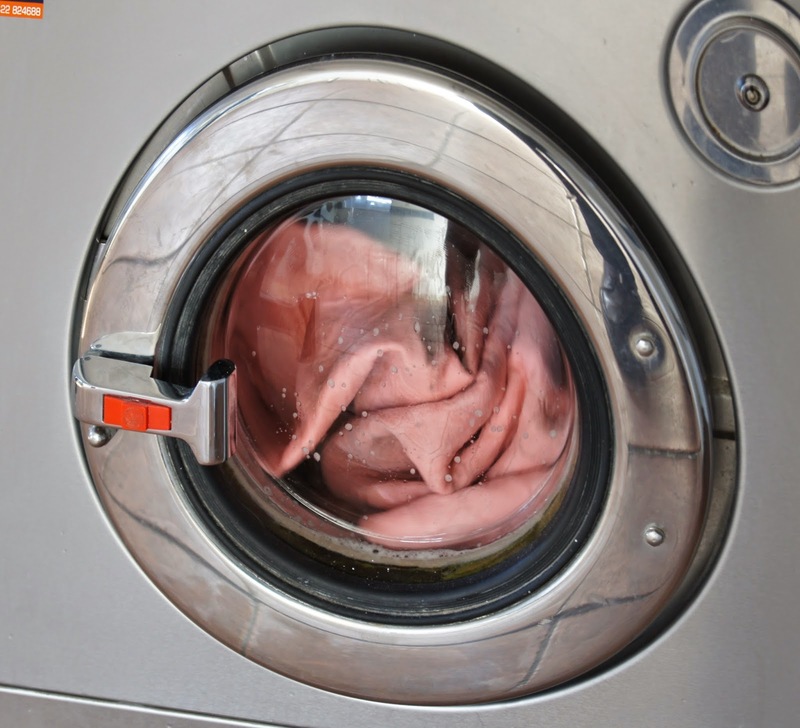 I've felt a little like that sock in the washing machine - being spun around and wrung up to dry. It's hard to get edited even when you really gel with your editor, which I do at the moment. It's tiring and it takes immense concentration! More so than writing. Because you have to make sure you still get the message of your story across and word it right. You have to kill your babies (favourite phrases) heartlessly. It knocks down your pride. But it builds your book up. When I read a book that hasn't been editing properly, it breaks the flow of the story. You have to keep on stopping to work out what the writer was saying. Pause, step out the story. Not good for flow. Not good to keep your reader committed. Now, I know some readers may not even notice as they haven't worked with editors for years and don't know all the problems and errors. Although my husband certainly would as he's a grammar nerd. And so am I. I admit, my grammar isn't perfect, but I can't bear it when a good book is spoilt by messy grammar. Now, it's very hard as a writer to get everything perfect. I definitely don't. I need editors. I need several rounds to clear out all that clutter in my book. I definitely couldn't self-publish a book and just edit it myself. I did that years ago with disastrous consequences - the book got terrible reviews. Reading it years later, I could see why. And my characters do the oddest things and go against their character. I need a second or third set of eyes to see that. So, I appeal to you writers. For the sake of your future fans and current readers, get your book edited by a "professional" editor. I don't mean your friend down the street or even your writing friend unless they are a best seller and have had years in the industry. Rather, get someone who's been in the editing business awhile and knows what's needed to clean up a book. Do yourself a favour. Either go through a publishing house or pay for an editor. The more you work with editors, the more you'll learn what's needed for future books. I've learned so much, but I still don't feel confident to send my book out there without that wonderful, patient, thorough person working alongside me. I really appreciate them. So much honour is given to the writer of a book. Do they realise how much the book is a product of the editor too? I see it also as painting a room. You have to do several coats. You can't just paint one coat on your wall. The previous colour will show through, or the plaster. The paint won't hold. It will look awful. You need to add several coats. Each edit is a new coat. I hate painting!!! Did you hear that! I HATE PAINTING!!! It's one of the worst things in life. I'd rather spend my hard-earned cash on someone to do it for me. So, adding extra coats is pure torture for me. But it has to be done if you want your room to look good, even presentable in the end. Two years ago, we repainted the kitchen. A nasty job but worth it in the end. The only part that wasn't totally unbearable was painting the burglar-bars for the windows. If I had the means, I would send each of my wonderful editors a big cyber hug and lots of chocolate. You deserve a medal for all your hard work and to also have your names on the covers.